Ahh, that joke never gets old. Anyway, that was a week ago. Last week was spent in a frenzy getting everything organised – from a flight to the right Linux distro to wipe an HP RAID array. Don’t ask. And here I am, looking out of the window at my view of the bridge, watching riverboats go by (though there is a parking garage in the way and breakfast costs €45). Still, as my wife said, don’t complain about staying in a nice hotel on the banks of the Bosphorus whilst she is up three times a night with our recalcitrant child. And I can stuff myself silly with Turkish Delight and kebabs. Mmmm kebabs. If anyone reading this has any good tips, feel free to comment. So, updates will be even rarer than usual. 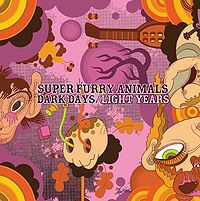 This week, I’ve finally managed to get into the new Super Furry Animals album, “Dark Days/Light Years”. On first listen I wasn’t that impressed. Nor the second listen. But this week, I tried again and you know what? I still wasn’t impressed. Until I got to the second half of the album. Then, it all clicks into place with some truly fab songs. From “The Very Best of Neil Diamond” to “Lliwiau Llachar” (no, I don’t know either), SFA pull out all the stops. Which is a bit of a shame, in a way, that the rest of the album doesn’t quite live up to these songs. Still, a half-decent SFA album is still vastly better than most band’s best efforts. 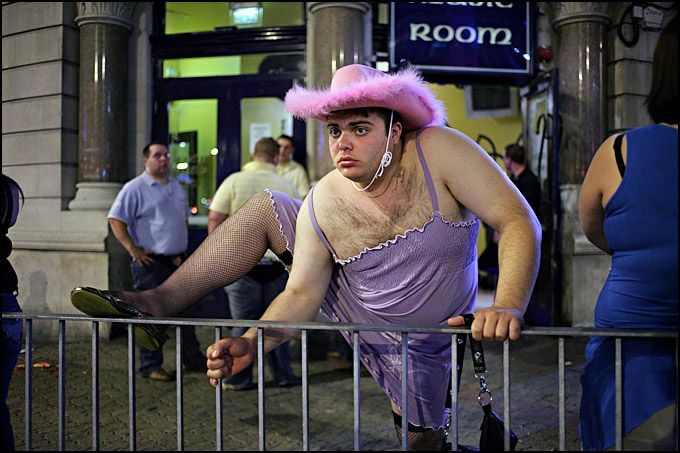 Speaking of Welsh things, the Polish photographer Maciej Dakowicz spent four years in Cardiff taking these photos, whilst studying there. They show the British drinking culture in all its glory – the fast food wrappers, the violence, the blood, and the sheer daftness of the Brits out on the piss. What strikes me is how well composed these photos are. I mean, it’s hard enough getting pissed blokes to do anything vaguely sensible, let alone make the shot look like it was posed by a fashion model. Fantastic work. 1 This is the man who once phoned me and said “Fancy going to Umea?”. When I said “Where’s that?” his reply was a laugh and “No idea!”. It’s near the Arctic Circle. The people are lovely, mind, and there was a very nice dog in the office. I also had a great Swedish menu experience. Long story.